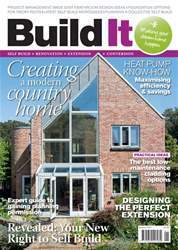 On 31st October this year, new legislation came into force establishing a Right to Build your own home. This potentially game-changing scheme means that councils have a duty to grant planning permission for sufficient serviced plots to meet demand, measured on so-called Right to Build registers, within a three-year period (and on an ongoing basis). 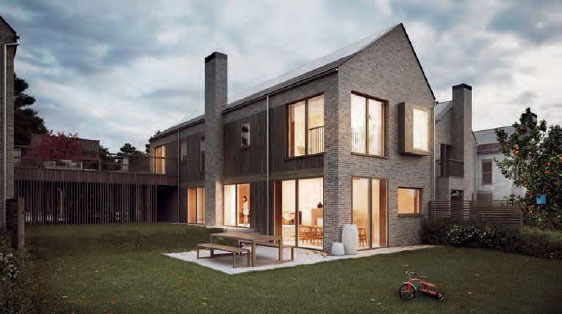 The idea is that this could not only revolutionise the self build sector, but also provide a much-needed shot in the arm for the perennially underdelivering housebuilding market. The government sees the proliferation of bespoke, owner-commissioned homes as one prong in its efforts to deliver more housing. That’s partly because it tends to be of a higher quality, both in terms of design and construction, than a lot of developer-led schemes – so it can be much less divisive and more attuned to local communities’ needs. What does this all mean for the likes of you and me? Fundamentally, we’re now in a position where we can ask our local authorities to look to make viable plots available to us. This should lead to serviced sites with genuine planning permission coming through to match the level of demand indicated on each council’s register. If enough of us sign up, it could also boost the general appetite for self and custom build among decision-makers, and encourage them to grant planning consent for more bespoke schemes – not just those that are enabled through the Right to Build. The trouble is that not enough of us are signing up yet. In fact, according to a recent Ipsos MORI poll commissioned by the National Custom and Self Build Association (NaCSBA), eight in 10 people don’t even know that councils are supposed to keep a Right to Build register. It’s no secret that many of us aspire to build our own home – NaCSBA statistics suggest that one in eight of us will start to research or plan a project over the next 12 months. But currently only 13,000 people manage to actually self build each year, largely because of three key barriers: land availability, planning headaches and finance. The government hopes to up that to 20,000 custom homes per year.